Twyla Tharp’s “The Princess and the Goblin” will receive its world premiere by Atlanta Ballet, February 10-19, at the Cobb Energy Performing Arts Centre in Atlanta. The full evening ballet, choreographed for young and adult audiences, is a co-commission between Atlanta Ballet and the Royal Winnipeg Ballet. With a cast of 13 children from Atlanta Ballet’s Centre for Dance Education ranging in age from 8 to 15 years old, and professional performers from Atlanta Ballet, the ballet marks Tharp’s first work with children. 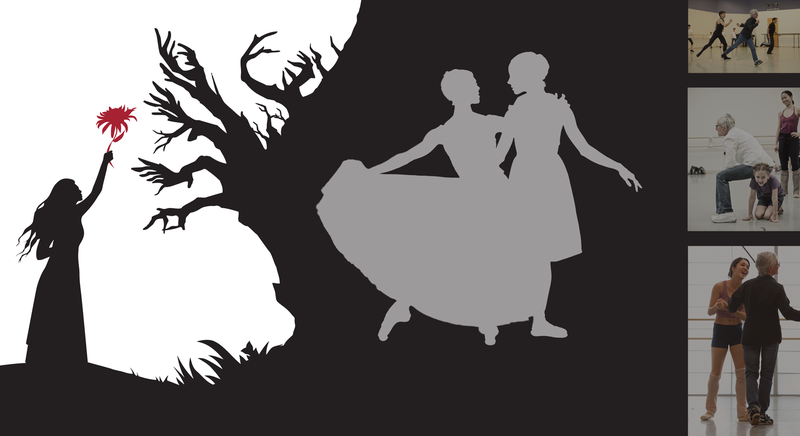 George MacDonald’s late 19th century classic children’s tale “The Princess and the Goblin” provided the original springboard for the work and the story on which the ballet is loosely based. For Tharp, like MacDonald, the children’s innocent and loving spirit is the driving force and moral heart and soul of the story. Most of the ballet’s central characters, general narrative line and moral themes remain true to the MacDonald. The music for the ballet is by Franz Schubert, arranged and orchestrated by composer and Schubert scholar Richard Burke; it will be played live by the Atlanta Ballet Orchestra. The set is by Caleb Levengood and costumes are by Anne Armit. The lighting is by Tony Award-winning designer Donald Holder. February 10, 11, 17, 18 at 8:00pm and February 11, 12, 19 at 2:00pm. Cobb Energy Performing Arts Centre is located at 2800 Cobb Galleria Parkway, Atlanta, GA 30339. Tickets are available at the Box Office, online at www.Ticketmaster.com or by calling 800-745-3000. About Atlanta Ballet: Founded in 1929, Atlanta Ballet is one of the premier dance companies in the country and the Official State Ballet of Georgia. Atlanta Ballet’s eclectic repertoire spans ballet history, highlighted by beloved classics and inventive originals. After 81 years, Atlanta Ballet continues its commitment to share and educate audiences on the empowering joy of dance. In 1996, Atlanta Ballet opened the Centre for Dance Education and is dedicated to nurturing young dancers while providing an outlet for adults to express their creativity. The Centre serves over 150,000 people in metro Atlanta each year. Atlanta Ballet’s roots remain firmly grounded in the Atlanta community and continue to play a vital role in the city’s cultural growth and revitalization. About Twyla Tharp: Since graduating from college in 1963, Ms. Tharp has choreographed more than one hundred thirty-five dances, five Hollywood movies, directed and choreographed four Broadway shows. She received one Tony Award, two Emmy Awards, nineteen honorary doctorates, the Vietnam Veterans of America President’s Award, the 2004 National Medal of the Arts, the 2008 Jerome Robbins Prize, and a 2008 Kennedy Center Honor. Her many grants include the John D. and Catherine T. MacArthur Fellowship. She is a member of the American Academy of Arts and Sciences and an Honorary Member of the American Academy of Arts and Letters. Photo collage designed by MIchael Bonfiglio/EJA.